Relive a wonderful evening with live music that supports underserved children! 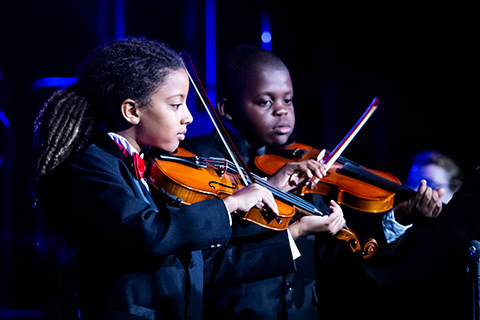 Your gift helps us "Play it Forward" with the Frost School's Donna E. Shalala MusicReach program. Let the peace and tranquility of favorite holiday carols wash over you as you enjoy an uplifting evening in the company of good friends. Feel the warmth and love of our 2018 Winter Wonderful honorees, Patti and Allan Herbert! 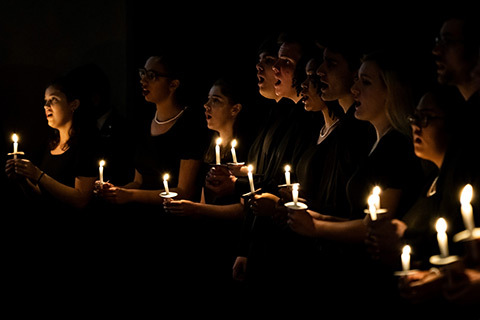 Welcome to our Winter Wonderful Holiday Dinner, an elegant candlelit dinner in a spectacular seasonal setting with carols and holiday favorites performed by some of the Frost School’s finest musicians. Held every first Sunday of December, next year's Winter Wonderful will happen on Sunday, December 8, 2019 at JW Marriott Marquis Miami, 255 Biscayne Blvd. Way, Miami, Florida 33131. Proceeds from the intimate gala benefit Frost School music scholarships and the Donna E. Shalala MusicReach mentoring Program.